Northern Tasmanian food businesses are great at producing their products to a high quality and many have the capability to increase output if the customers were there to buy it. Market growth is the top priority in Northern Tasmania, particularly securing sustainable contracts with buyers and distributors in mainland markets. Premium products have the greatest potential for an increased profit margin and a focus on premium as an overarching principle has been a common theme. 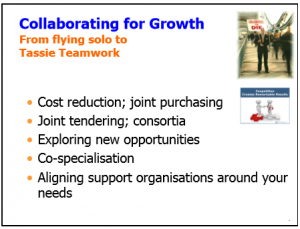 Reducing regular costs is seen as a huge opportunity and opportunities include maximising existing support programs and collaborating to achieve economies of scale. Another aspect that is regularly raised by smaller and emerging food businesses is the heavy administrative burden to access the Tasmanian Freight Equalisation Scheme (TFES). It appears until a business is big enough to fill a whole container – the whole admin burden is not worth accessing the TFES. Fermentasmania – a FIAL cluster grant could be on its way to activate industry support for fermenters. The organic opportunity – Australians are way behind comparable countries in consumption of organic products, but demand is growing. Australian companies supplying international markets such as China are looking for Tasmanian producers to join their supply chain. Parcel post – many SMEs send goods by parcel and there are discounts available if higher volumes can be achieved. The Department of State Growth will conduct a survey in 2018 which will indicate the scale of the opportunity to access reduced parcel freight costs. Freight consolidation/collaboration – further to the frustration in accessing the TFES – there is an opportunity to investigate more collaborative freight arrangements. This could reduce the costs of bulk freight and allow for more effective access to the TFES. Market expansion – The Department of State Growth is running Market Growth and Income Diversification workshops from 5-7th June in Wynyard, Launceston and Hobart. These FREE sessions are aimed at small and medium sized food producers and agribusinesses looking to expand into new interstate markets or considering new business opportunities. Bio analysis laboratory – an interested party has come forward to establish in Launceston advanced analytical services for biomedical and biosciences research. UNESCO Creative City for Gastronomy – current investigation is underway to determine if there is benefit in Launceston becoming a designated City of Gastronomy, to potentially gaining international recognition for its food sector. In late 2017 the renowned world expert on clusters Ifor Ffowcs-Williams, author of the Cluster Development Handbook, visited Tasmania to share his knowledge on clusters as an effective model for economic development. As a result of his visit, Northern Tasmania Development Corporation joined forces with RDA Tasmania to discuss with food enterprises the relevance of developing a food cluster, the first step in Cluster Development. 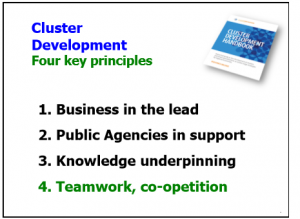 This isn’t about creating a cluster for its own sake but creating the types of clustering activities that grow businesses, innovation and economic performances. By meeting with businesses, government and university stakeholders the initial interest has been positive and it feels worthwhile to pursue a food cluster. Although this will be up to food enterprises to decide there are enough priorities to address as a group. 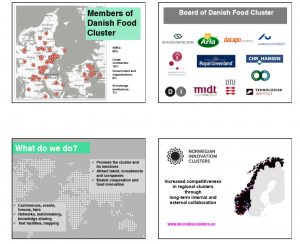 Without the resources to establish a formal food cluster organisation the current path is to continue to meet with food enterprises and related service organisations, and making deliberate efforts to pursue clustering interventions based on that feedback. The Northern Tasmania Development Corporation and RDA Tasmania will sponsor and champion the first steps on developing a food cluster. 1. 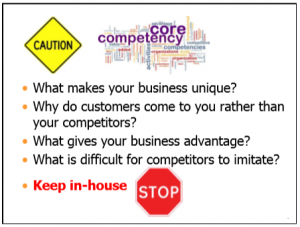 Determine what makes your business and products unique (you don’t have to share everything)…. 2. But where it makes sense Tassie Food Businesses could be doing a lot more in collaboration to everyone’s benefit….